The Philip Morris & Son Easter Giveaway competition starts 7th of April 2017 at 07:30 and ends on the 16th April 2017, at 23:59. All entries after the closing date will not be included in the competition. Only one winner will be picked overall. The winner will be notified within 5 days of closing date. If the winner fails to make contact within 7 days of being notified of winning, an alternative winner will be selected. This competition can only be entered once by each individual. Multiple entries will be disregarded. The competition is not open to employees of Philip Morris & Son, or family members, or anyone else connected to the competition. This competition is only open to UK mainland residents. 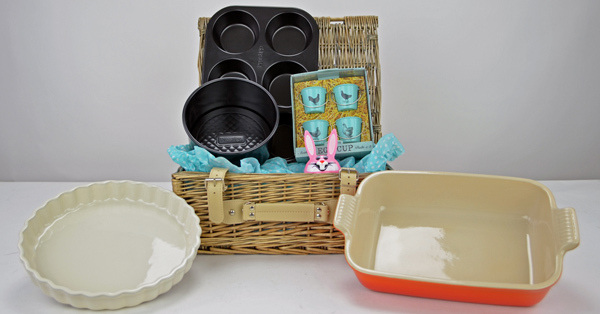 baking, Competition, cooking, Easter, Easter Baking, Hamper, hereford, Philip Morris, Philip Morris And Son. Bookmark. Off to The Game Fair? We have entered your details into the Easter Hamper Competition, you should receive an email from us today. Prize heaven! Great choice of prizes. Would be a fantastic prize to win. Unfortunately this competition has now ended. Please like our Facebook Page, as this is where we will announce future competitions. Fab for all the family, we love to bake. All signed up.